Wow! 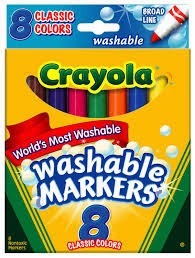 Check out this NEW $1 off any pack of Crayola Washable Markers Printable Coupon. Grab your coupon and be ready to score! We'll keep you posted on how to put it into ACTION! Anxious to find a deal using this coupon to put away for Christmas! Woohoo!